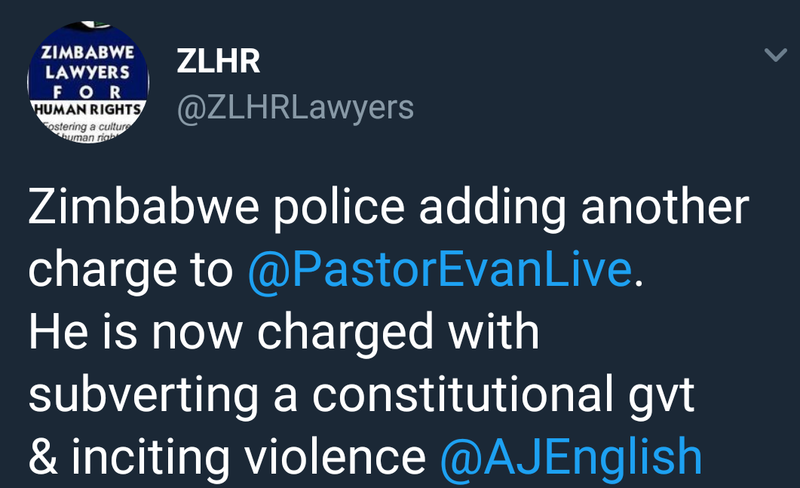 Pastor Evan Mawarire has been charged with subverting a constitutional government, according to the Zimbabwe Lawyers for Human Rights. He faces up to 20 years in jail if convicted. 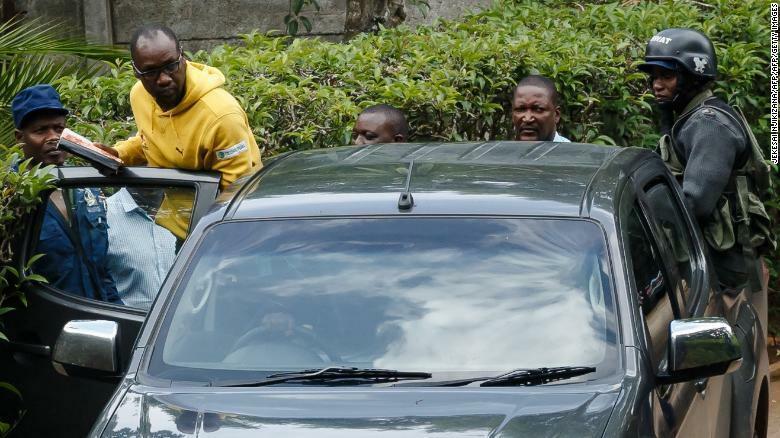 Mawarire was taken from his home and charged with inciting violence, along with 600 others. Doug Coltart told Newsday that Pastor Mawarire and trade union leader Peter Musaka, had called for a "national stayaway day" in a video which he said triggered the charge. He said: “When I asked one of the police officers where exactly in this video is the incitement to violence he said 'ahh that bit is maybe a little bit silenced in the video' so there’s really no basis for the charge." 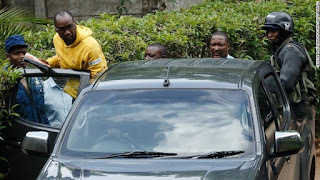 The two-minute-20-second video, which was posted on social media sites on 13 January 2019, shows Pastor Mawarire and Mr Musaka calling for a national stayaway day; urging people to not go to work, open their businesses or take their children to school. 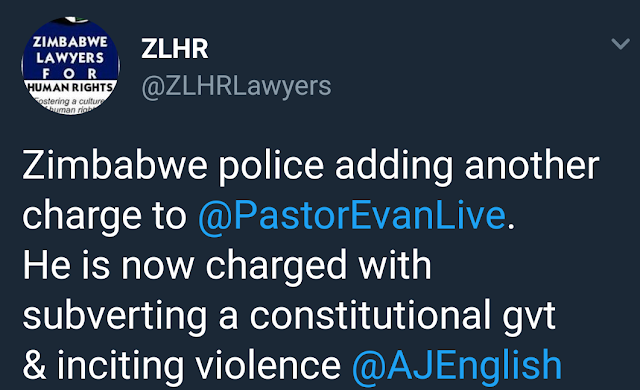 Coltart visited his client at Harare Central Police station on Wednesday night: “He is OK, he’s been through this before in almost identical circumstances in 2016 when he also called for a stay away. So this is a path he has treaded before."